With the Maibaum facing you, turn left and walk to the edge of Marktplatz. The house was sold to Freidrich Weihmiller in January 1867 for $140. Weihmiller operated a blacksmith shop from the older house. The house stayed in the his family until 1938. Later, Richard Tatsch ran a blacksmith shop here. When Tatsch retired, he rented out the property as a restaurant. Later, Reinhold Enderlin operated his Lone Star Beer Distributorship from the building. After Enderlin built a new warehouse, Charlie Svatek operated the Falstaff Distributorship from here. The population of Texas is expected to double in the next 50 years. Some parts of Texas are water-rich; others are water-poor. There is a great need for a water-literate public to make informed decisions. The second in a series of Texas Water Symposium co-sponsored by Schreiner University, Texas Tech University - Fredericksburg and Texas Public Radio will be held at the Llano River Field Station of Texas Tech University in Junction. The symposium's topic will be "Climate Change and Impacts on Floods, Weather and Drought in Texas: What Controversy?" moderated by Tom Arsuffi. Panelists will include Robert E. Mace, deputy executive administrator, water science and conservation, at the Texas Water Development Board; Todd Votteler, executive manager of governmental relations and policy for the Guadalupe-Blanco River Authority and executive director emeritus of the Guadalupe-Blanco River Trust; and Katharine Hayhoe, research associate professor of atmospheric sciences at TTU in Lubbock and an expert reviewer for the Nobel Peace Prize-winning Intergovernmental Panel on Climate Change. This event is free and open to the public. All of the water forums are taped and aired on Texas Public Radio. Call (830) 792-7405 for information. Another old German tradition was brought to Marktplatz on 1991 is the Fredericksburg Maibaum. The figures on the pole's crosspieces symbolize the town's history and community life: dancing, hunting, farming and ranching. On the bottom crosspiece, Meusebach is depicted negotiating a treaty with the Comanches. The Maibaum was installed by the Pedernales Creative Arts Alliance, a local group who sponsers the annual Oktoberfest. Proceeds from the hugely popular event go towards art scholarships, and city beautification. Marketplatz' conversion into a true town square was made possible by Oktoberfest. Fredericksburg's Oktoberfest is held on the first Friday and Saturday in October. If you plan to attend, make reservations early. Most hotels, Bed and Breakfasts and guesthouses book a year in advance! The land between the Llano and Colorado Rivers made up the Fisher-Miller Land Grant to the German Adelsverein for settlers from Germany. However, this land was also the hunting grounds of the Comanche Indians. Government officials weren’t able to guarantee military assistance and surveyors refused to enter the region of the grant for fear of being attacked by the Indians. Since the grant required that the land had to be surveyed by the fall of 1847, surveyors had to enter Indian Territory. The Adelsverein always planned to make an agreement with the Comanches, it wasn’t until John Meusebach became the commissioner that any progress was made. On January 22, 1847, a party made up of well-armed Germans, Mexicans, and several American surveyors set out from Fredericksburg. Meusebach joined them in camp a couple of days later. Also in the party was geologist Ferdinand von Roemer, who wrote a detailed report on the expedition in Roemer's Texas 1845 to 1847 (With Particular Reference to German Immigration and the Physical Apperance of the Country: Described Through Personal Observation) . Despite warnings from the governor of Texas, James Pinckney Henderson, Meusebach made contact with the Indians and began negotiations. The final session took place on March 1 and 2, 1847, at the lower San Saba, about twenty-five miles from the Colorado River. 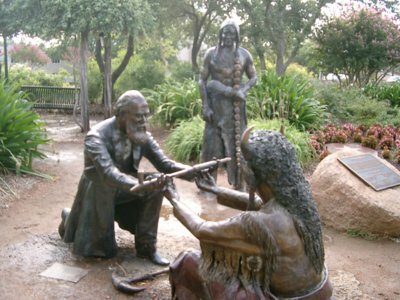 Comanche chiefs Buffalo Hump, Santa Anna, and others, met with Meusebach (who was called El Sol Colorado by the Comanches, because of his red flowing beard) and his party. The treaty was signed in Fredericksburg two months later. The treaty allowed German settlers to go unharmed into Indian territory and the Indians to go to the white settlements; promised mutual reports on wrongdoing; and provided for survey of lands in the San Saba area with a payment of at least $1,000 to the Indians. The treaty opened more than 3 million acres of land to settlement. In 1970, Irene Marschall King, John Meusebach’s granddaughter, brought the original Meusebach-Comanche treaty document from Europe in 1970. She presented the document to the Texas State Library in 1972, where it is on display. On Memorial Day in 1997, the near-life-size statue called “Gathering, Lasting Friendship, 1847-1997” was dedicated as a part of the city's 150th anniversary. Brodbeck worked on his design for twenty years. In 1863, he built a scale model of the craft with a rudder, wings, and a propeller powered by coiled springs. He would show the model at various county fairs, and bouyed by the success of the model, began looking for funding to build a full scale version. Now, it depends on who you talk to as to what happened next. Some say that Brodbeck made his first attempt in Luckenbach, Texas. The reports indicate that the craft got twelve feet in the air and traveled about 100 feet before the springs unwound completely and the machine crashed to the ground. Some folks say that he made his first flight in San Pedro Park, San Antonio, where a bust of Brodbeck commemorates the event. There are some who say the flight took place in 1868. But everyone agrees that the flight wasn't successful. After the crash, Brodbeck couldn't find any local investors, so he began a US tour to raise funds to continue his work. But after his papers were stolen in Michigan, he couldn't persuade anyone to invest in his scheme. Brodbeck returned to his home near Luckenbach, where he died in 1910, and was buried on the farm. Since no copies of his plans survive, Brodbeck's aeronautical adventures are in doubt. 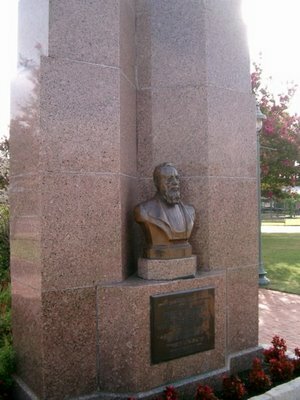 At the edge of Marktplatz, facing Main Street is a bust of John O. Meusebach, the founder of Fredericksburg. Meusebach was born Baron Otfried Hans Freiherr von Meusebach, on May 26, 1812, at Dillenburg, Germany. As he grew, Meusebach attended the finest schools and could read five languages, and he spoke English fluently. In 1846, Meusebach realized that in order to settle the Fisher-Miller Grant, he had to reach an agreement with the Comanche Indians. In May of 1847, Indian leaders signed a treaty, which is the only unbroken treaty between white settlers and Native Americans. Satisfied with his achievement, Meusebach resigned as administrator. In 1851, Meusebach was elected a Texas Senator, and was instrumental in establishing Texas' public school system. In 1935, the citizens of Fredericksburg decided to reconstruct the building 300 feet from it's original location, in the center of Marktplatz. The new building was finished in time for the state Centennial celebration in 1936. I just finished Mark Gimenez' The Perk and I am confused. The book is set here in Fredericksburg, but it's not my Fredericksburg. Although some of the stores are named, the fictional Fredericksburg bears as much resemblance to the real Fredericksburg as Roger Rabbit's Los Angeles to the real City of Angels. Some long gone landmarks still exist, and some newer buildings were never built. For example, there is no public library in the book. That building, built in the 1880s, is still the courthouse. The new courthouse doesn't exist, but the tree sculpture in front of the library is there. If you're a fan of Rather Sweet, sorry, it's not in the book. The building is, instead, a coffee shop downstairs and an artist's studio upstairs, and is run by some "lesbians from Austin." This book is difficult to get. It hasn't been published in the US and I think you will see why shortly. Although, you can find some used copies on Amazon.com (clink the link above). The first sentence reads "She was posing outside the limo with a dozen other girls, like illegal Mexicans waiting for work on L.A. street corners." Which is perfect because that's what the book is about: illegal Mexicans. A "Perk" is, in Hollywood parlance, a perk of the job. It can be free booze, a stretch limo, or willing young girls to sleep with. The Perk the book is titled after is Heidi Geisel. Heidi is a sixteen year old German girl. She's so eager to leave her hometown of Fredericksburg that she goes to Austin during the New Years' South By Southwest Film Festival (the first of many divergences from reality) to seduce stars to get a screen test. Her dream is cut short when she's found dead on New Years Day just outside of town. Four years later, Beck Hardin returns to Fredericksburg. Twenty-four years ago, after his mother's death, Beck was so desperate to leave his German hometown that he accepted a Notre Dame scholarship and became a lawyer in Chicago. After his wife died of cancer, her returns to Fredericksburg to get his father's help to raise his kids. He runs for county judge, and wins because there is a particularly nasty case coming up: The star Football player who will lead Fredericksburg High to a championship assaulted a Hispanic kid. Prosecuting will end the championship run. Not prosecuting will get "the Mexicans all riled up," as one character put it. The whole book is about this case, with the search for Heidi's killer the B plot. Which makes me wonder why it's called "The Perk"? It should have been titled "Them Damn Racist Germans" or "Them Damn Illegal Mexicans". See, Gimenez seems to believe, or at least his Fredericksburg friends believe, that all the Hispanics in Fredericksburg, except the children (who were born here to give the illegal parents an "anchor") are illegal. And all it takes is a Federal raid to get rid of them all. They are even able to bulldoze "The Barrio," the area along South Milam Street and Live Oak street. And the book ends with a Fredericksburg with almost no Hispanics. 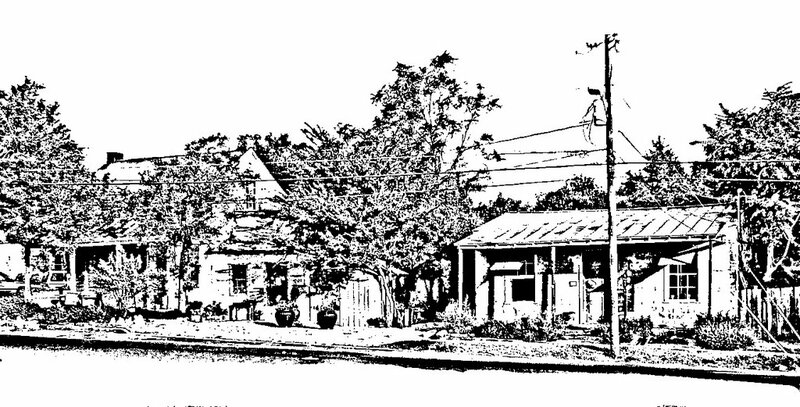 In Gimenez' Fredericksburg, there is no Escamilla Body Shop or Morales Plumbing, and the Doctors Cantu don't have a thriving practice here because they're illegal and afraid of showing their faces on Main Street lest the city police (who never really appear in the novel, but hover Gestapo-like in the minds of the lead Hispanic character) fall upon them with batons and jack-boots. But the Germans still hire the illegals to work their fields and run their factories. What the book doesn't tell you is that the Newcomers in real life also hire workers of dubious legality to build their over-sized limestone homes, lay their limestone patios, and build their limestone fences. In the book, the local stone mason in German. The anti-Hispanic bias is not only in Fredericksburg: the lead Hispanic character was offered a scholarship to UT so they can make sure they have enough Hispanics in the student body, even though his grades would have gotten him accepted anyway. This is Reagan era anti-Affirmative Action stuff. It's so 1990s. 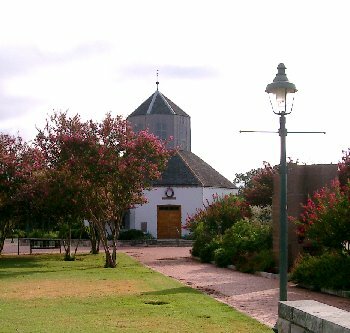 . .
Gimenez also believes that the Germans in Fredericksburg have formed a secret cabal to keep things the same as they have always been. While there is an element of truth to that, here it's greatly exaggerated. There's also some truth in the charge that the Newcomers moved to Fredericksburg because it's predominantly white. The Germans are the only racists in the book. It all reminds me of a Lone Ranger episode where the first sheep farmer comes into cattle country, with Beck Hardin as the Lone Ranger come to bring peace between the parties. But actual peace is achieved simply by deporting the Hispanics, which is probably why the book hasn't been published in the US. Not only that, the lesbians who run the coffee shop, who also act as the moral compass of the book, are the only ones who feel compassion towards the illegals and after all the parents are deported, go door to door in "The Barrio" to feed the kids. No. Really. Ultimately, though, the book doesn't pay off for me. The titular plot line isn't actually resolved. The killer is never brought to justice, although he does get what's coming to him. But that all happens in the last couple of chapters. Whatever you do, don't read this book and expect an exact depiction of Fredericksburg and it's citizens. And don't be mislead by the cover, it's not an action packed page turner, either. The cover is as accurate a portrayal of the book as the book is of Fredericksburg. Is there racism in Fredericksburg? Sure. There's racism everywhere. Are there illegal Mexicans in Fredericksburg? Sure. It's an agricultural community, and like all agricultural communities in Texas, illegals work the ranches and fields. There aren't many white high school kids lining up to do the work (unless it's the family farm). The Perk is every Minuteman's dream: deport all the Mexicans and make Texas white again. And that makes the book feel a little. . .dirty. Fredericksburg’s Pioneer Museum has released the 2010 Roots Music Schedule. The Roots Music series is a series of live, open-air, eclectic, Roots music concerts on the grounds of the Pioneer Museum on Main Street in Fredericksburg, Texas. Concerts feature both emerging and established artists in an informal, family setting. Each concert offers an optional meal that fits the theme of the music. Beer, wine, soft drinks, and water are also offered for sale on the grounds. New this season are: New dance demonstrations, Return of the Pickers Jam under the trees, A new larger dance floor, and New online ticket purchasing at the Pioneer Museum website. Admission is $12. Students high school age and younger are free. Buy your ticket online and get $2 off for advance online tickets, or bring web page printout to gate for $2 discount. 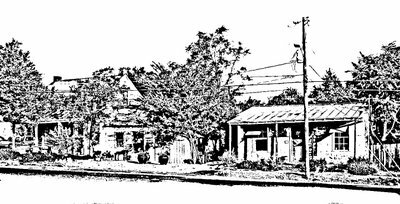 Net proceeds support the mission of the Gillespie County Historical Society, 312 W. San Antonio Street in Fredericksburg. For more information, call 830-997-2835. Try your hand at stitching or learn about popular quilt patterns from years past at the Pioneer Museum, 325 W. Main Street, from 10 am to 2 pm on Saturday. Youngsters will enjoy making their own patterns with basic squares, triangles and diamonds. Admission is $5 per adult and children 6 - 17 $3. Call (830) 997-2835 for more information. Silver Creek Grill & Beer Garden, 310 E. Main Street, will close on Saturday for improvements. Look for their enlarged restaurant, kitchen and parking. Hill Country residents who want to complete a college degree can learn more about local opportunities at an information session on Thursday, January 14, at 5:30 p.m. at Fredericksburg High School, Room 213, 1107 Hwy 16S at 5:30 pm. All interested students are invited to attend. Rebecca Rather has opened Rather Sweet Too, located in the historic building on the corner of East Main and South Lincoln Streets, adjacent to her bakery and café location. The restaurant (open 8 a.m. to 5 p.m. Monday through Saturday) will feature sandwiches, soups, salads, cheeses, pastry items and drinks ready to purchase for take-out. The telephone number for Rather Sweet Too is (830) 992-3620. The original Rather Sweet Bakery and Café will now also serve a full breakfast with table service, in addition to lunch. Matt Reidy, Texas Parks and Wildlife biologist, will present "Feral Pigs – Where Have We Been and Where Are We Headed", tonight at the Gillespie County Historical Society Building, 312 West San Antonio Street, at 7 PM. This presentation is sponsored by the Friends of the Fredericksburg Nature Center as part of their monthly Nature Series. For more information call (830) 990-9823. Enchanted Rock State Natural Area is closed to visitors this week for its hunting season January 11 through Friday, January 15, until 2:00 p.m. The park is located at 16710 RR 965, 18 miles north of Fredericksburg. For information, call 830-685-3636. The Navajo Grill will be closed for vacation from Monday, January 11 to Saturday, January 17. For more information, call the restaurant at 830-990-8289. On Friday, January 8, at 7:00 p.m., Berkman Books welcome author Charles Kettner to meet visitors and sign copies of his book, Die Kettner Briefe The Kettner Letters: A Firsthand Account of a German Immigrant in the Texas Hill Country (1850-1875). On Saturday, January 9 from 7:00-9:00 p.m., the bookstore, located at 416 E. Main St. in Fredericksburg, will host an evening of music and book signing when it welcomes Mike Blakely and W.C. Jameson. These talented singer- songwriters will entertain as well as autograph copies of their books. For more information, call Berkman Books at 830-997-1535. Join the Fredericksburg Texas Exes and all UT fans for the game of the year, the National Championship. Gather at the Inn on Barons Creek Conference Center, 308 South Washington Street, at 6:00pm and the game starts at 7:00. BYOB and bring a snack. Cost is $5 per person. Go Horns! The Rockbox Theater will be the site for two special performances of Nashville recording artists High Valley -- Country Music for the Whole Family – at 7:00 p.m. on both Friday, January 8 and Saturday, January 9 at the theater at 109 N. Llano St. in Fredericksburg. Cost per ticket is $10 per person, with children age 12 and younger admitted free. For information, call 830-997-7625. The story of the Japanese midget subs at Pearl Harbor at the outset of World War II will be broadcast tonight on PBS Television’s NOVA programming – at 7:00 p.m. on KLRU/Austin and at 8:00 p.m. on KLRN/San Antonio. The one-hour “Killer Subs in Pearl Harbor” – was, in part, filmed in Fredericksburg at the National Museum of the Pacific War. Check your local TV listings to verify time.